Amro Sallam helped start Architects for Society in 2015, gathering together a collective of international architects to focus their work on humanitarian and social-welfare projects. 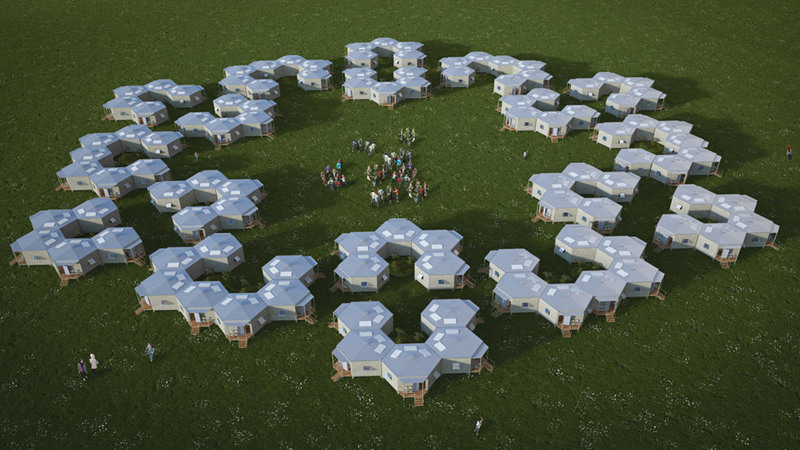 One of their first projects, Hex House, is a solar-powered, single-family unit designed for deployment in refugee camps and other displaced communities. Sallam shared with me the firm’s origin story, their mindset towards architecture’s involvement in humanitarian efforts, and his thoughts on Aravena's Biennale.